After two days of flights from Bucharest to Ushuaia, I finally arrived in the southernmost city in the world. Next step was to find a last minute deal to Antarctica and for that, I estimated I should have at least four days to search. 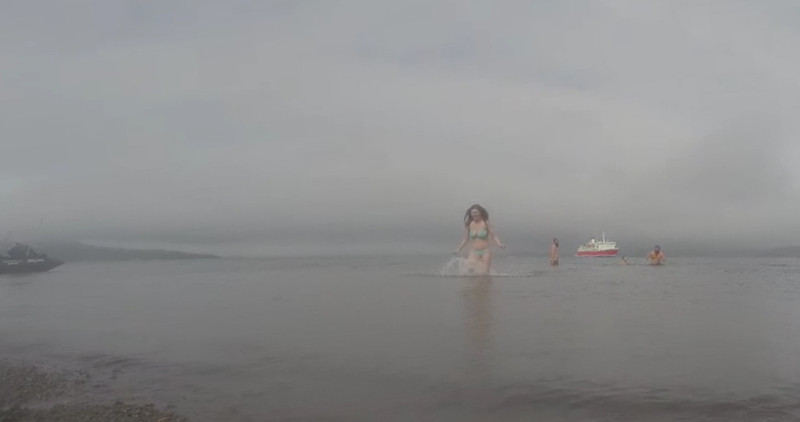 It turned out to be much easier than expected, I found a nice last minute deal in my first three hours in Ushuaia. The girl from the reception of La Posta hostel made a phone call and got me a deal and some hours later the agent of Freestyle came to talk to me in depth about it. 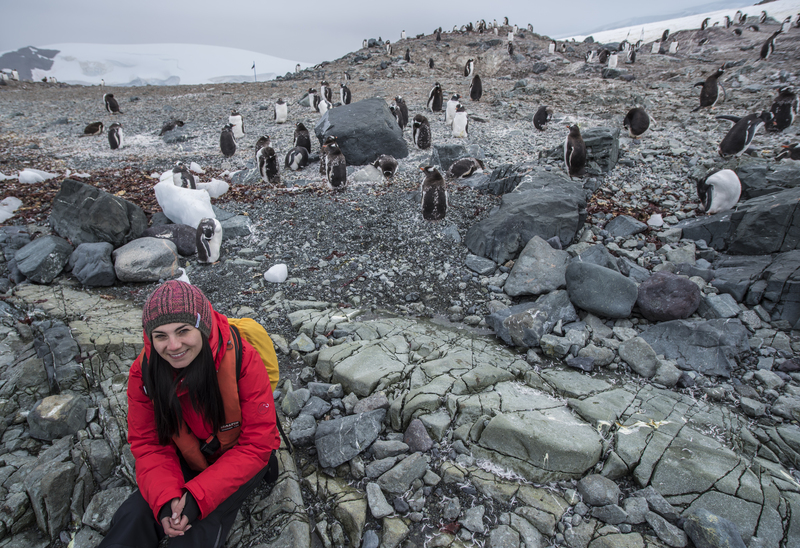 They work with many companies which make tours in Antarctica, therefore, she knew exactly what are my options. I planned to spend maximum 5000$ but the trip cost me 6899$. 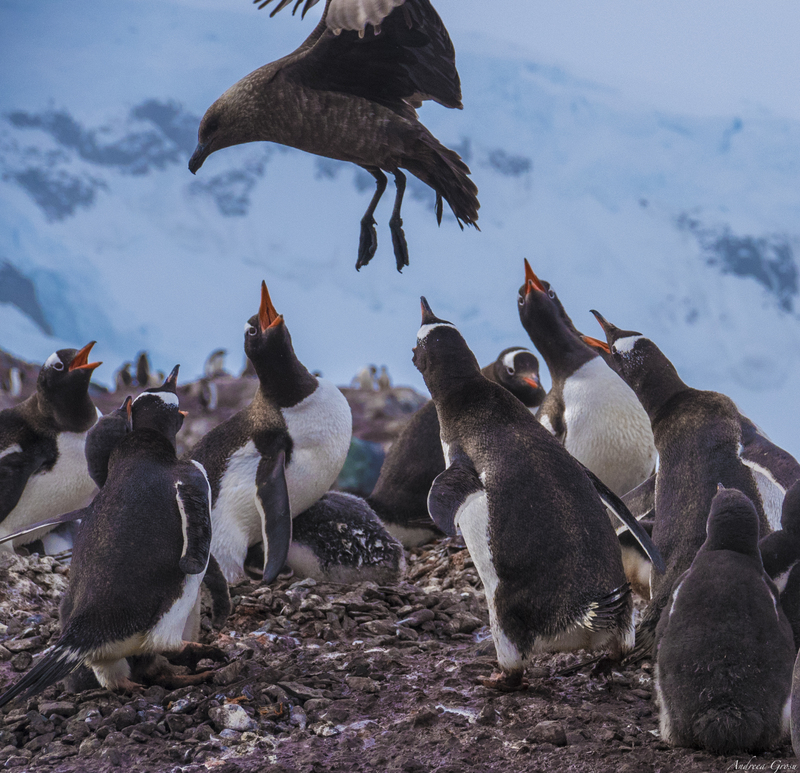 I chose this G Adventures trip because of the extended length (13 days instead of 10) which meant more time actually spent in Antarctica and also because of the crossing of the Antarctic Circle. The conditions on the ship are much better than anything I ever expected, I was spoiled for two weeks with lots of good food and the bed made two times per day although I wasn’t using it twice, just threw some stuff on the bed which were very soon getting folded and organised. 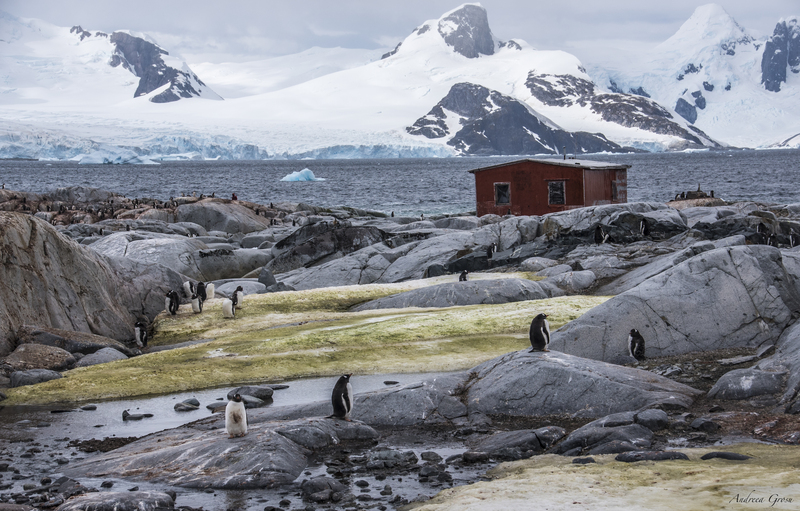 I would have been happy with much less but I guess all the cruises to Antarctica have hotel and restaurant conditions. I shared my cabin with two Chinese girls which got engaged during Valentine’s day. 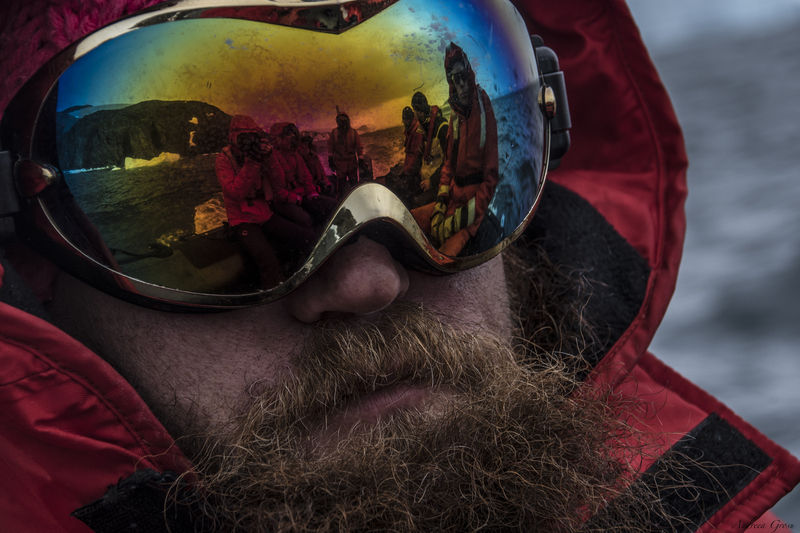 First two and half days onboard Expedition were about lectures, drinking in the evening while listening good music played by one of the guys from the expedition staff, bird watching, pretty bad weather and meeting new people (most of them quite seasick) while sailing the Drake Passage. 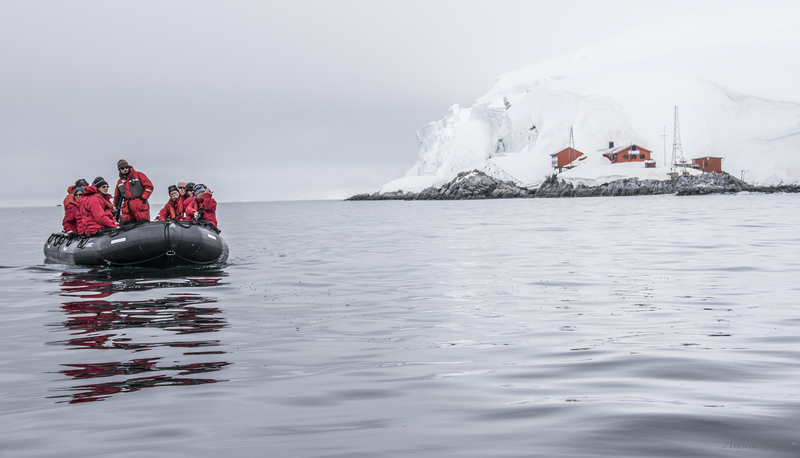 Getting closer to Antarctica we started to see icebergs and ice floating in the ocean, beautiful landscapes, antarctic wildlife and soon I started to feel like I went to another kind of world. 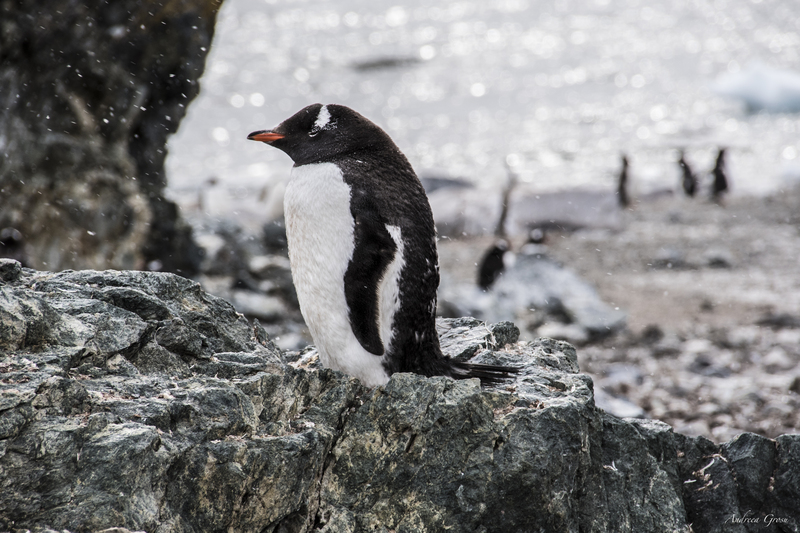 The wildlife was very impressive but what I liked the most were the icebergs and the ice floating everywhere, the mountains covered with ice and snow, the amazing skies and the moody weather. Every day was different from the other day, every day brought new and amazing experiences. It was so very easy to forget about myself and just live the perfect moments I had there. 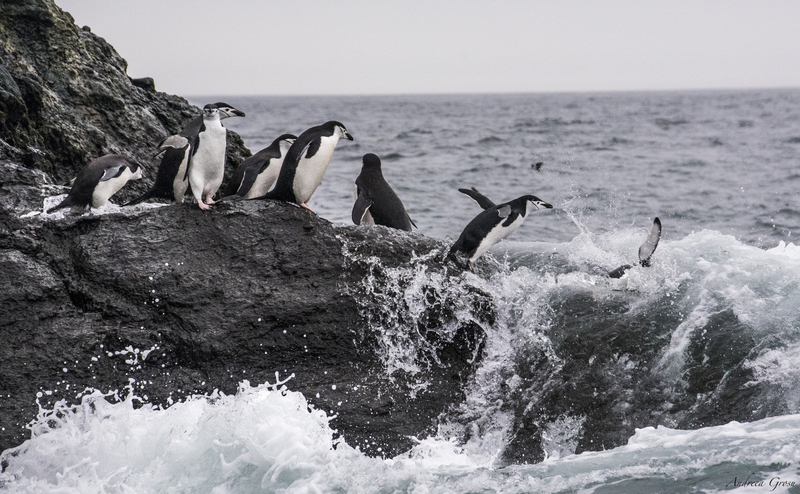 The fourth day we had our first zodiac cruise around the Melchior Islands, we saw seals and one chinstrap penguin, birds and whales. 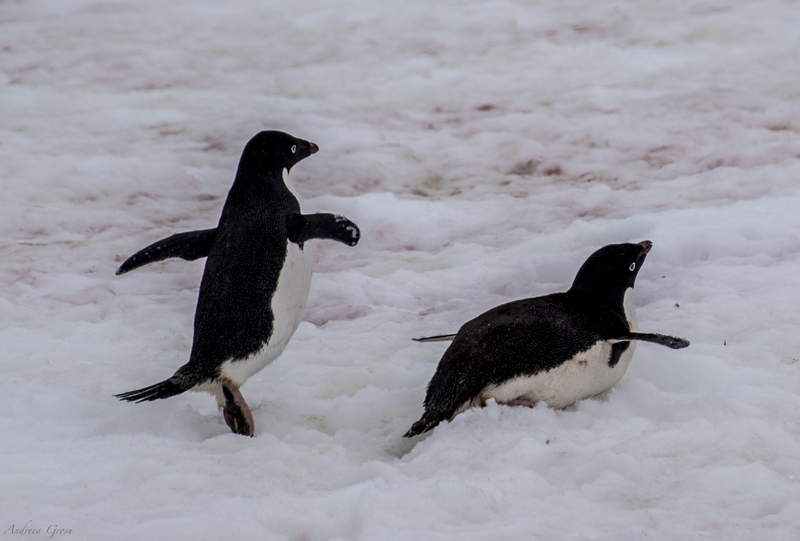 Later in the afternoon we made our first landing on Antarctica at George’s Point where lives a big colony of gentoo penguins and seals. Spent there one or two hours and made hundreds of photos. 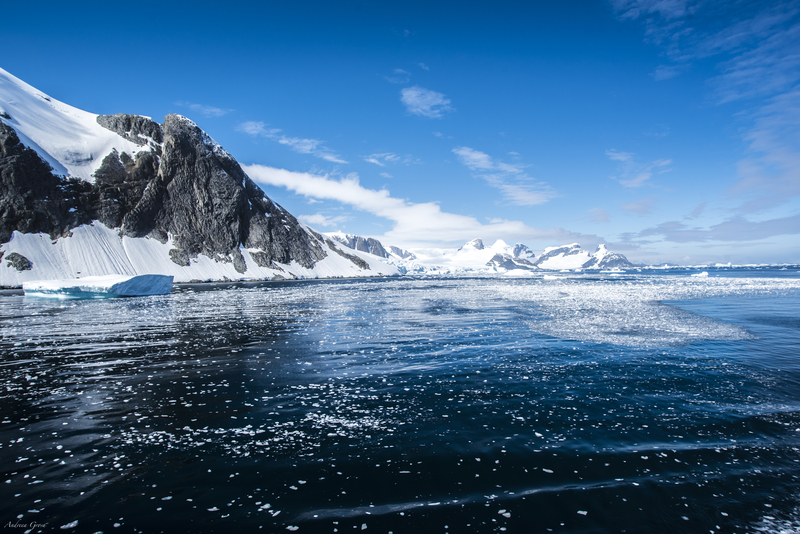 On 13th we passed the Lemaire Channel in beautiful weather and amazing landscape. 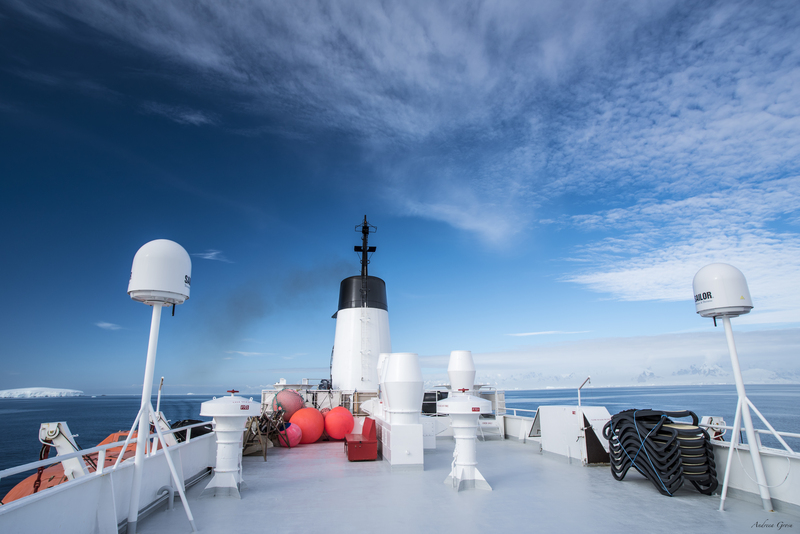 It was so hard to go from the deck inside the vessel. We also saw lots of icebergs and whales. 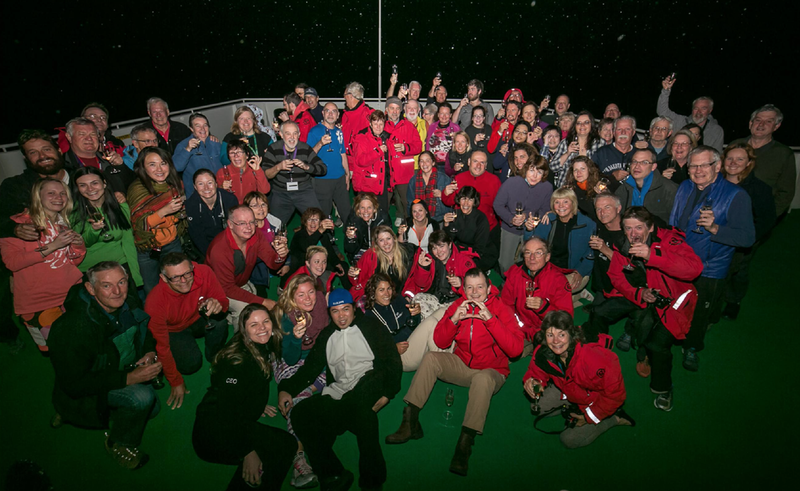 Next we set as a target to cross the Antarctic Circle and so we did on 14th February around 1 a.m. We celebrated with champagne and good music. Due to bad weather we couldn’t do our two landings as planned south of the circle so we were forced to turn and go back north. That day was a day of lectures and organising photos. 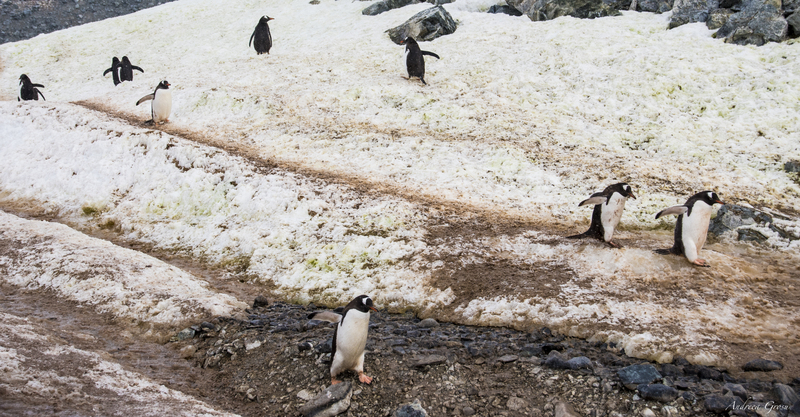 Our next destination was Petermann Island where we saw a colony of Adelie and Gentoo penguins. Before that we had a long cruise around the island and we saw seals swimming while around us were a lot of amazing icebergs. In the afternoon we went to Paradise Harbour, an amazing place where we went a bit uphill to see the wonderful view and we went back down sliding. 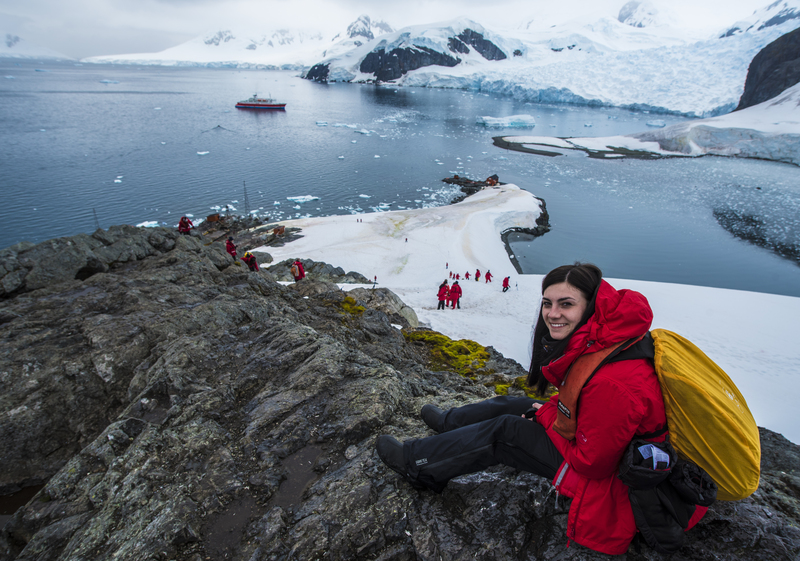 🙂 Antarctica was much warmer than I expected. Although we were waking early every morning it was always exciting and different. 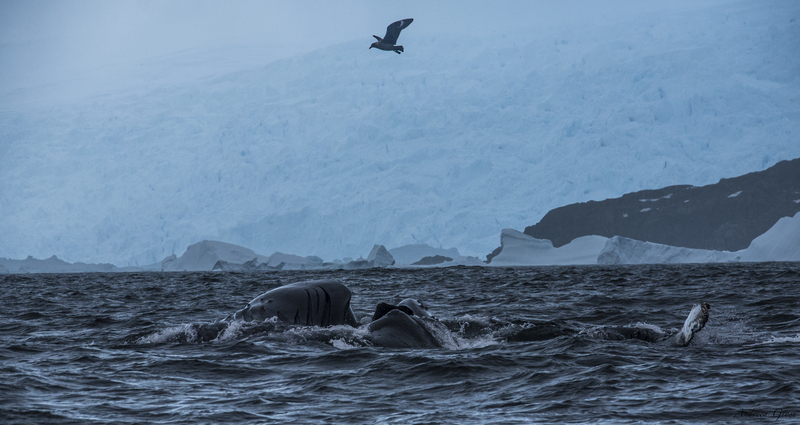 We saw whales feeding at Cierva Cove and an island of whale bones and Gentoo penguins at Mikkelsen Harbour. 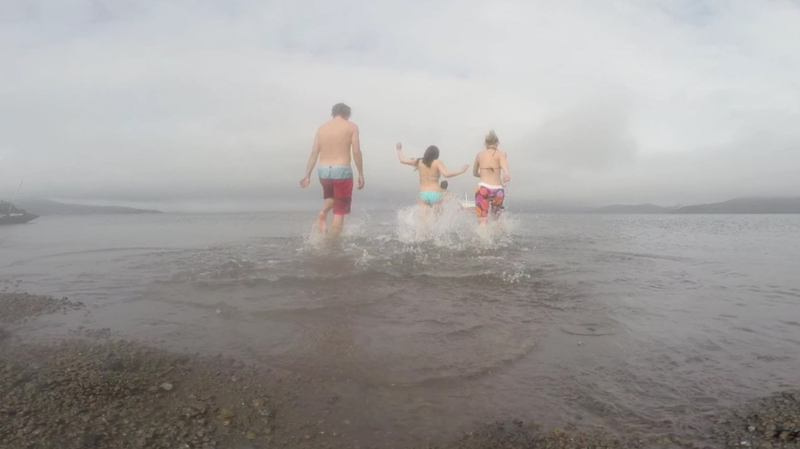 Last day in Antarctica was a special day, the very last thing we did was the polar plunge at Telefon Bay, Deception Island (the water was 3 degrees Celsius and my polar plunge was around 3 seconds and after that I thought for a while that I’ll die because I couldn’t breath properly). 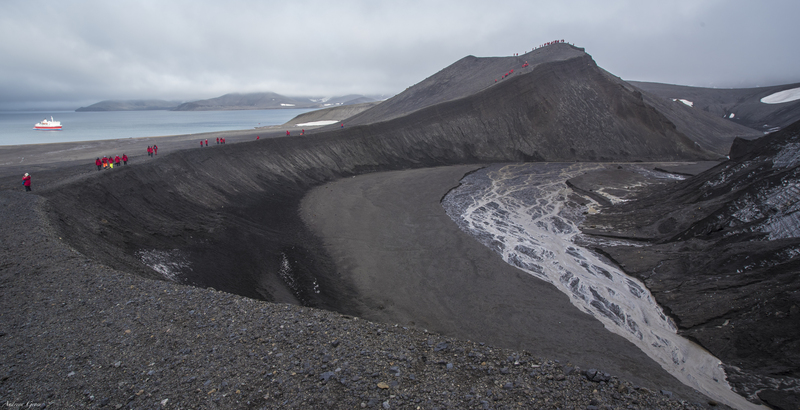 We watched chinstrap penguins at Bailey Head in the morning and after lunch we walked on the top of the crater at Deception Island. It’s two months now since I’ve been there, in the most surreal place I’ve ever seen. When I think back about it the first thing that comes to my mind is a morning when I woke up because of a weird noise and looked on the window and saw in the almost morning light the icebergs around and one very close which was actually scratching the vessel making the loud noise. It was so beautiful and surreal, it’s the most special moment I had there. 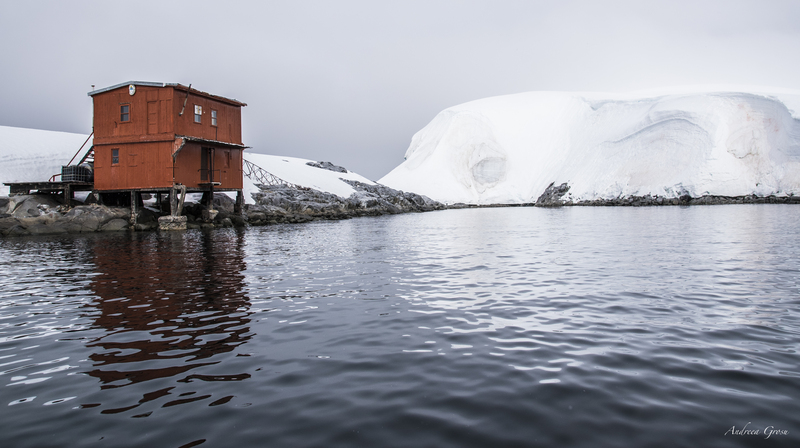 I keep saying it, wildlife was amazing there but the most impressive for me were the icebergs, the ice around and the mountains covered in ice. I thought I will sleep every night early because the people on the cruise weren’t very young but actually I had lots of fun in the evenings and drank lots of shots which I didn’t find on my bill ( later I found out that the bartenders were advised to be generous with the backpackers to keep them happy). I even sang “Don’t let me down” from Beatles although I’m the worst singer ever.